In a league as arduous and as tough to handle as the English Premier League and in an era of massive windfall of proven overseas talent being brought through at colossal prices to provide an immediate fix to match most premier league clubs’ ephemeral first team ambitions and targets, it isn’t really hard to see why the number of academy graduates at most Premier League clubs breaking into the first team picture have steadily dwindled in recent years, more so after the continued foreign investment in some of the now prominent clubs in this much publicised and talked about English Premier League . Regardless to say, the path that a lot of these youngsters is blocked by more experienced ‘pros’ which has served as a deterrent to the budding careers of many a young footballers in recent years. It only takes a moment to remember the potential the likes of Michael Johnson, Fabio Borini, Jack Cork once displayed but have since moved on to other clubs permanently or on loan, for the longing of first team football. But on the flipsoide for every Johnson, Borini and co, there are young success stories who have broken through at their clubs having clutched at their oppurtunities that have arisen due to a multifarious set of reasons- from injury to lack of squad depth or even due to prolific performances for the reserves. The likes of Chris Smalling, Jack Wilshere, Seamus Coleman, Andy Carroll, Marc Albrighton, Phil Jones have all announced their arrival to the big time in the last twelve months. And there’s no reason why others would not emerge from the shadows this season, announcing their arrival. So here’s looking at some break through kids who could well breach the cuffs and make their way to their destiny of first team football. The young England U21 International joined Chelsea back in the summer of 2009 but has since then has been limited to reserve team duties or a bench role to backup Chelsea’s super star strikers. A loan spell last season at Bolton worked wonders as ‘Dan’ finished his spell with an impressive return of 8 goals in 12 Premier League matches for the Greater Manchester based side. The expectations from Chelsea fans have surely soared and the next season shall be a big one for him to finally make a capacious impact (should he be given the opportunities, that is) to help Chelsea’s title dreams. The Merseyside boy standing with a mean frame of 6’3″ has long been touted as one of the better prospects to have come out of Liverpool’s academy in recent times. The towering defender was elevated to first team duties last season following Liverpool’s defensive crisis, slotting in right back for some crucial games including the Merseyside derby where he won the Man of the match along with LFC’s February Player of the Month. 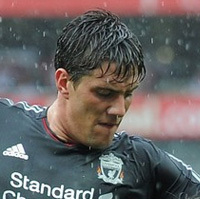 With Liverpool still searching for fullback options for the coming season, there is a fair chance that Kelly would have more opportunities at his favoured right back position with Glen Johnson moved to the left. The French U21 International was signed by Everton from Strasbourg for a little over £1mn and the tricky winger made sporadic appearances for David Moyes’ towards the fag end of last season. By trade, a trickster with pace to burn, he could bother multitudinous of defenders next season with his pace and trickery should he be given more opportunities to establish himself. One to definately watch out for next season at Everton. The teenager who was brought in one of the most expensive transfer deals in the history of Sunderland, has for long been seen as a prime prospect by most leading English clubs but Sunderland managed to pull the rabbit out of the hat as they clutched for him from the grasp of some of the bigger English clubs. Already been capped at U21 level, the striker has a good record in the Championship having already won the ‘Championship apprentice of the year’ award last season. On the back of a big investment, Sunderland would surely look for this nimble striker to deliver for them. Tom Cleverley has been at United since he was a 15 year old boy having progressed through the ranks and shined at each level. Loan deals to Watford and Wigan, have both been thoroughly successful and finally Cleverley looks set to lay a claim for a position in United’s first team. A boy immensely versatile, he can play across the midfield and in his younger days he has played even further back. At United, he’s come back at a time when the proletariat has been demanding new midfield signings and the impetus is on him to seize his chances to shine, as and when they might come. A defender who is highly rated by his manager Harry Redknapp. The gaffer recently handed him a new improved contract until 2016. The Englishman had a positive loan spell at Aston Villa during the second half of last season, shaping up as one of the better right backs in the league at such a young age. Now back at Spurs, he faces fierce competition from Croatian international Vedran Corluka and Scot Alan Hutton, but as ‘Arry suggested would get his chances and if their fans are to believed its only a matter of time until he super cedes his competitors to that right back spot. The mighty talented Rambo is back! Back from the treacherous leg break that left him out of the game for almost an year, and immediately gave an awe-inspiring performance in Arsenal’s victory over United last season and there’s no reason why there would not be more of the same streching into the start of next season. There might be continued speculation regarding the futures of Arsenal’s leading protagonists- Nasri and Fabregas, but irrespective of that, Ramsey is going to court in his claim for a more prominent role with the Arsenal first team next season. Immensely talented, perennially crocked. Thats been the story of this young Arsenal left back for much of his career thus far. If there ever was time to change it, it is now. Bereft of an experienced option as a left back, the Professor- Arsene Wenger could fall back on his young prodigy to fulfill the role at Arsenal, but only if he stays fit enough for long enough. Too much to ask for? Or maybe this is just the season that he finally delivers and without the injuries to bother about. When he made his first team debut less than a year ago for Chelsea, there were quite a few Blues’ fans who did not know much about him, let alone the rest of the football fraternity. However, from that moment onwards, the only way for the 18 year old has been up, accumulating sporadic appearances for Chelsea over the course of the season. While, it still may be too soon for him to be a permanent fixture in Chelsea’s lineup but given the recent injury to Essien and the lack of squad depth, he could considerable chances to play a part in Chelsea’s setup. The highly rated young forward spent the last season on loan at the Wearsiders, Sunderland. A season that he finally seemed to be fulfilling his potential putting in one top performance after the other despite being employed out of position on the wings for the bulk of the matches that he featured him. 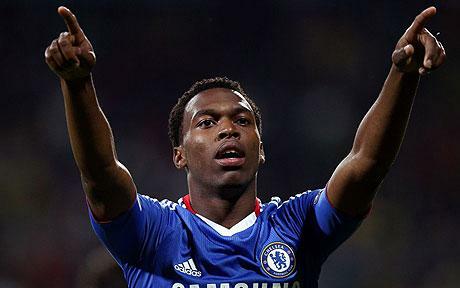 Despite that he scored some crucial goals for the ‘Mackems’ in a loan spell also somewhat shrouded by injury troubles. However, now back at United and with continued speculation over Berbatov’s future, chances are that Welbeck could well be given opportunities, it only depends on him how well he ends up thriving on them. The boyhood Celtic fan and now a full Scottish international, he made his debut for Aston Villa last season owing to a bulging injury crisis at the club and earned a string a games before being loaned out to Leeds in March. Naturally left footed blessed with good passing abilities and versatility thatcould see him play on the left or through the centre, the midfielder would in all probability see a lot of first team action this coming, probably alongside his boyhood hero Stiliyan Petrov. Others to look out for- Nile Ranger(Newcastle), Ciaran Clark(Aston Villa), Kyle Naughton(Norwich, on loan from Spurs), Ruben Rochina(Blackburn), Pajtim Kasami(Fulham), Dedryck Boyata(Man City), Ji-Dong Won(Sunderland).